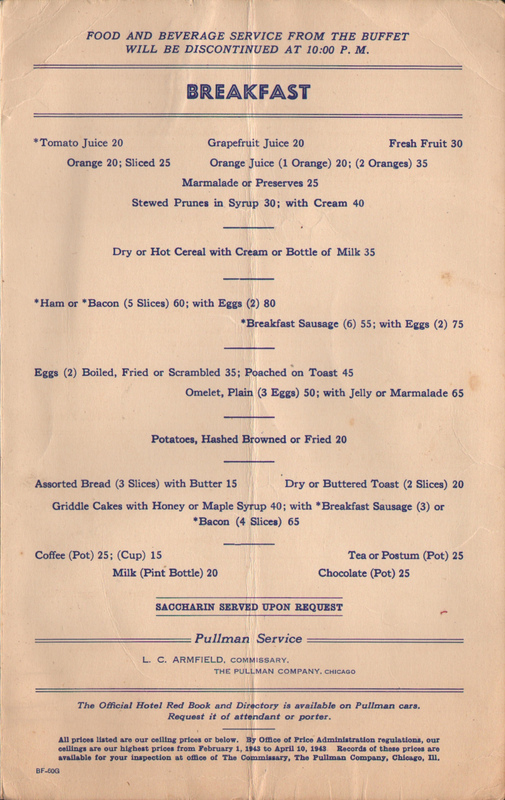 Description A 1944 World War II (WWII) Pullman Restaurant Car/Service Breakfast Menu. 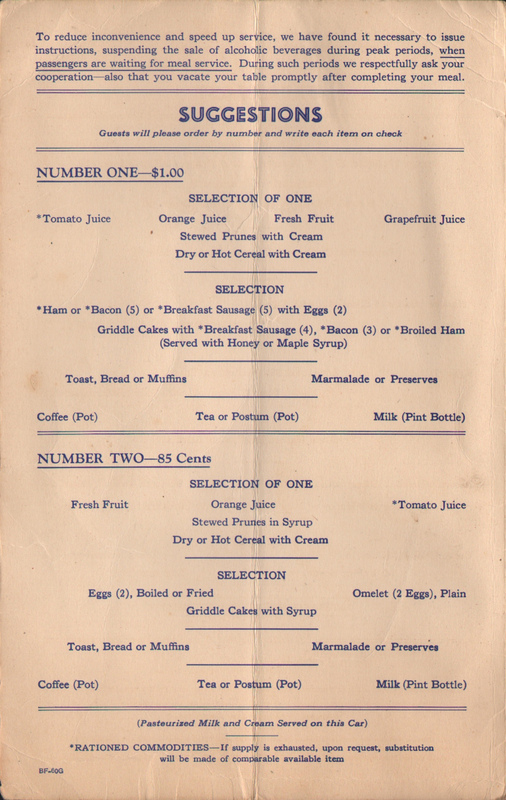 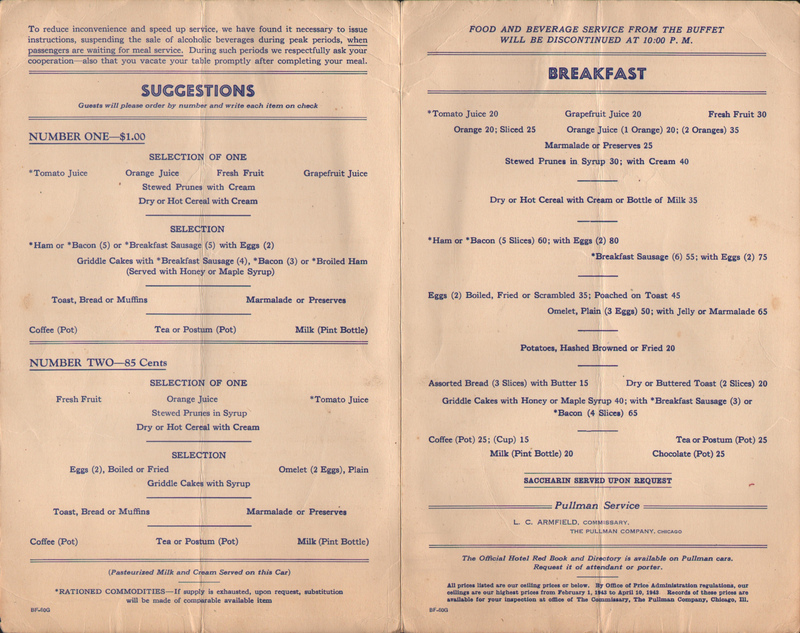 These menus are not easy to find today as most of Pullman's food service had switched to lighter Lounge, Buffet and Club car services during the war years. The cover features an official United States Marine Corps Photograph of a US Marines "Mop-Up Unit" The U.S. Marines at Guadalcanal. 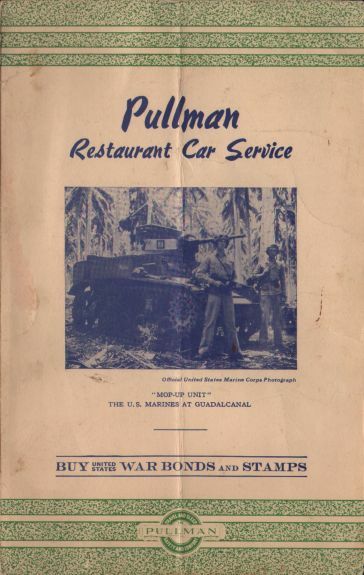 Like most every Pullman (and railroad) menus of the period, the front cover features an ad urging the passenger to buy war bonds and stamps. 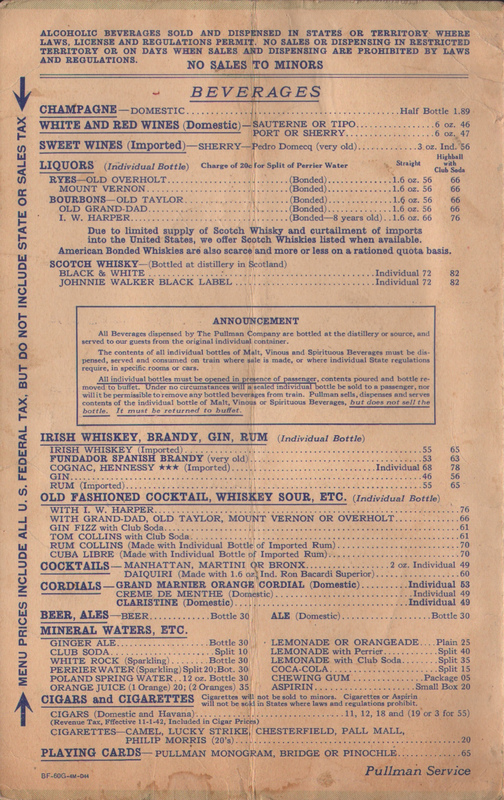 This menu has been folded once lengthwise but is in good shape for its age.